WASHINGTON — Canada is facing a fresh deadline to land a trade deal with the United States and save its place in the North American Free Trade Agreement. Trade experts say Canada and the U.S. need to present a text to the U.S. Congress by Oct. 1 in order to join the deal the Trump administration signed with Mexico last week. The overall goal is to reach a deal by a Dec. 1 deadline so Congress can give its approval to a new NAFTA before Mexico's new president takes office. Otherwise, U.S. President Donald Trump says he will move ahead on a deal with Mexico that excludes Canada. 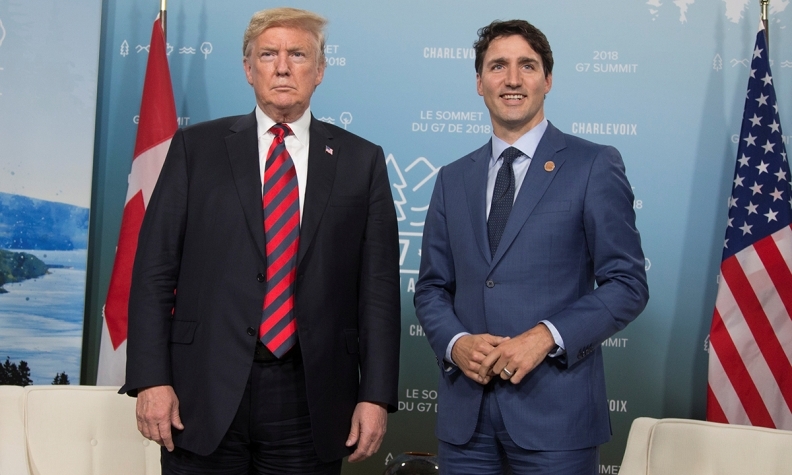 The politically sensitive deadlines form a key challenge for Canadian and American negotiators as they resume their talks Wednesday in Washington. Canadian negotiators are set to return to the bargaining table facing an unpredictable U.S. president and trying to protect Canada's cultural and dairy sector from American demands in NAFTA renegotiations. But in recent days he has taken a defiant tone on Twitter that some trade experts are dismissing as his usual negotiating bluster. "Congress will support Canada throughout September. After that, Congress will have a tough choice to make in terms of going forward with a good deal with Mexico, opening Mexico's agricultural markets as we brace for the long haul with China," said Dan Ujczo, an Ohio-based trade lawyer with Dickinson Wright. After that, "Canada's positions are going to be framed as protectionist" on dairy and the country's current cultural exemption, he said.